On the occasion of the 25th anniversary of the German reunification on October 3, 2015, Arthaus Musik combines two unique programmes as a 2 DVD Edition. 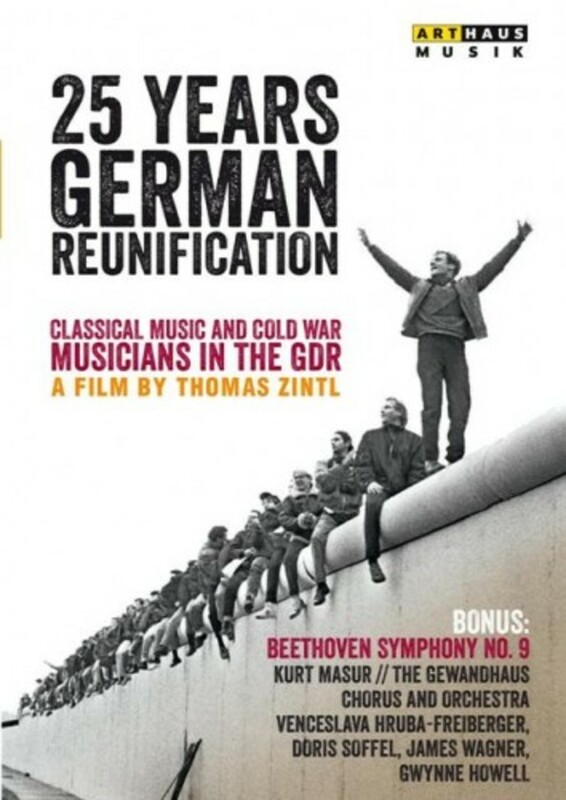 The impressive documentary 'Classical Music and Cold War � Musicians in the GDR' by Thomas Zintl (ECHO Klassik Winner, Best Music Documentary) spans the range from the founding of the two German states in 1949 to the fall of the Wall in 1989. Using archive material and interviews with political as well as cultural representatives of that time, such as Helmut Schmidt, Peter Schreier and Kurt Masur, the film draws a parallel between the cultural and political developments. The performance of Beethoven�s Symphony No.9 at the Gewandhaus Leipzig in 1991 turned out to be a great success for Kurt Masur. Masur, the Gewandhaus� music director from 1970 to 1996, was one of the six prominent Leipzig citizens who came up with the call �Keine Gewalt!� (�No Violence!�) on the Monday demonstration on October 9, 1989, thus contributing significantly to its peaceful outcome. Since then, Kurt Masur and the Gewandhaus orchestra have been part of the collective memory.